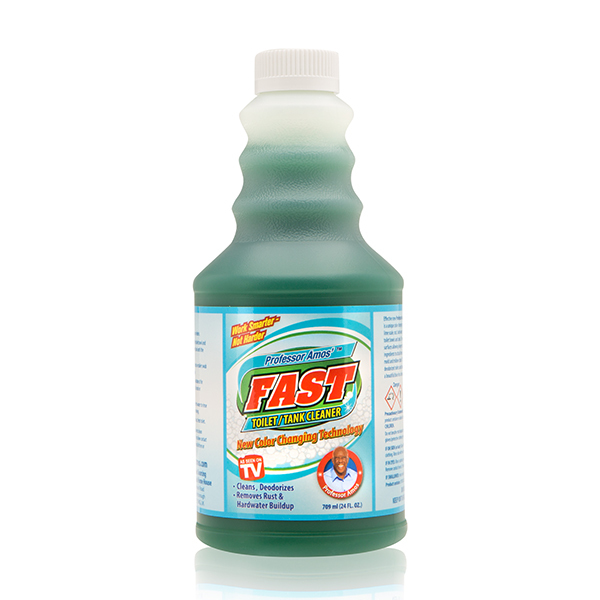 Keep your toilet tank clean, rust free, and deodorized with Professor Amos Fast Toilet and Tank Cleaner. This special formula starts out green and changes to blue to let you know your toilet is clean. And, the extra thick formula clings to the surface to remove rust and attack lime scale, calcium, soap scum, hard water build up, mold, and mildew stains. Leaves your toilet sparkling clean, smelling fresh, and easier to maintain in the future. 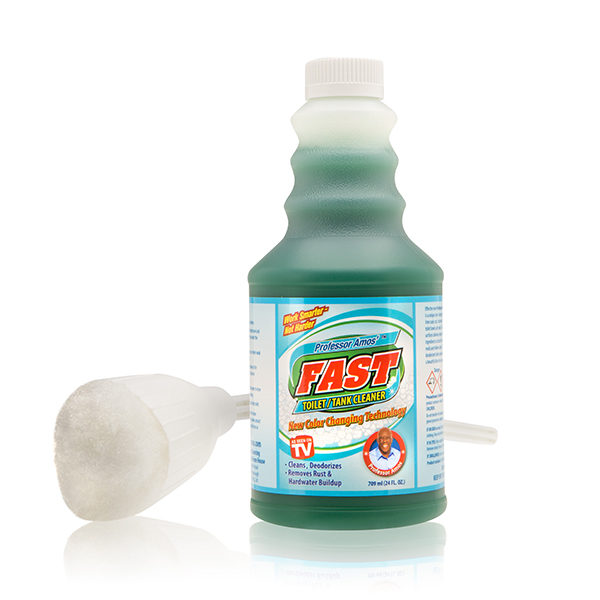 This concentrated formula makes up to 24 applications of toilet cleaner. 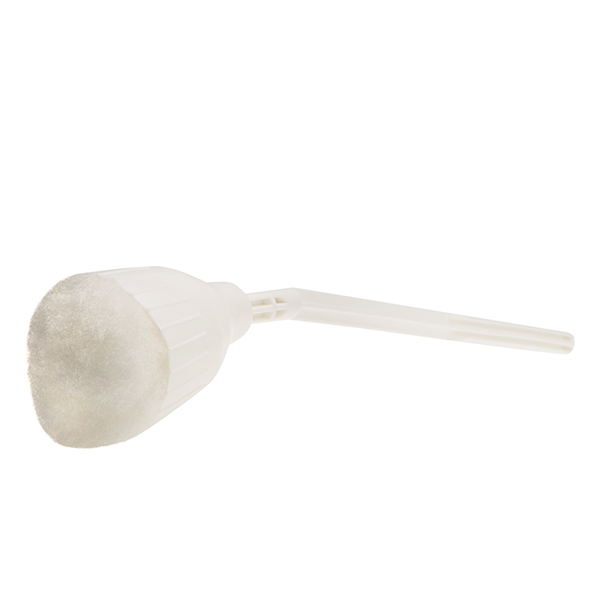 The handy toilet swab is also the perfect accessory for tackling that toilet clean with. Professor Amos started out from humble beginnings - a paperboy, shoe-shiner and ice cream truck driver. But, Professor Amos’s brilliance, tenacity, and contagious positive spirit have rocketed him to the height of entrepreneurial success. Launched with the first-ever cleaning infomercial, the Professor Amos brand of innovative, soap-less cleaning solutions now sells worldwide.